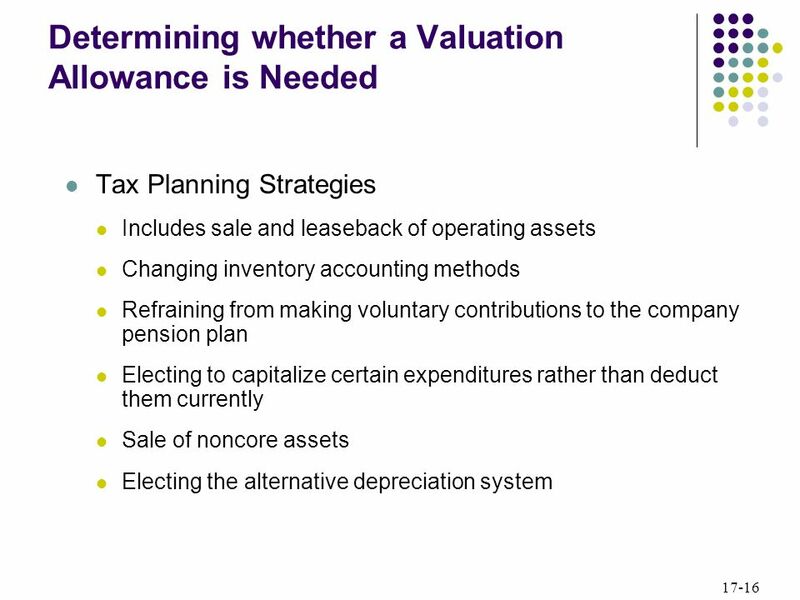 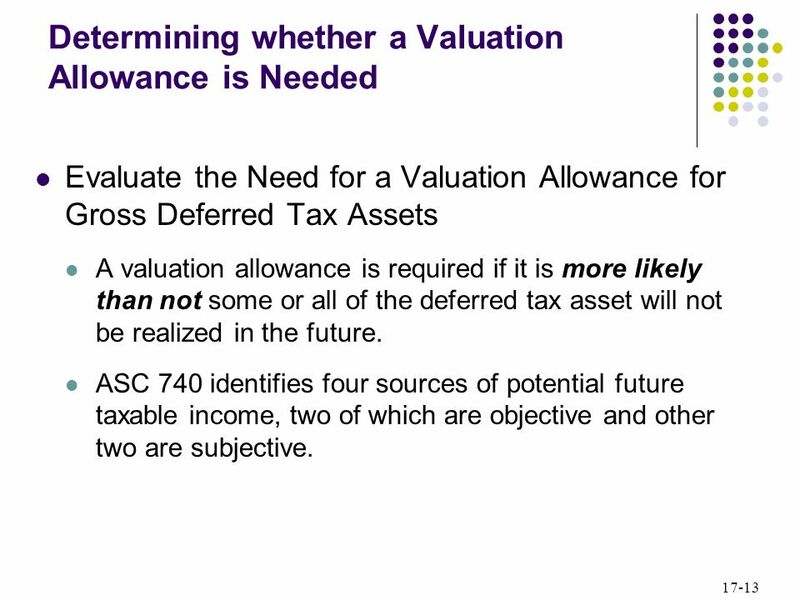 Evaluate the Need for a Valuation Allowance for Gross Deferred Tax Assets A valuation allowance is required if it is more likely than not some or all of the deferred tax asset will not be realized in the future. 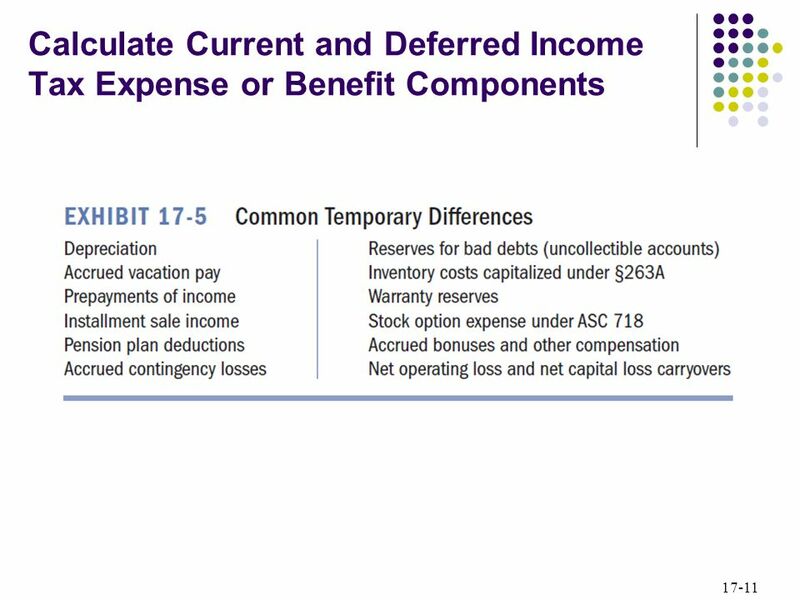 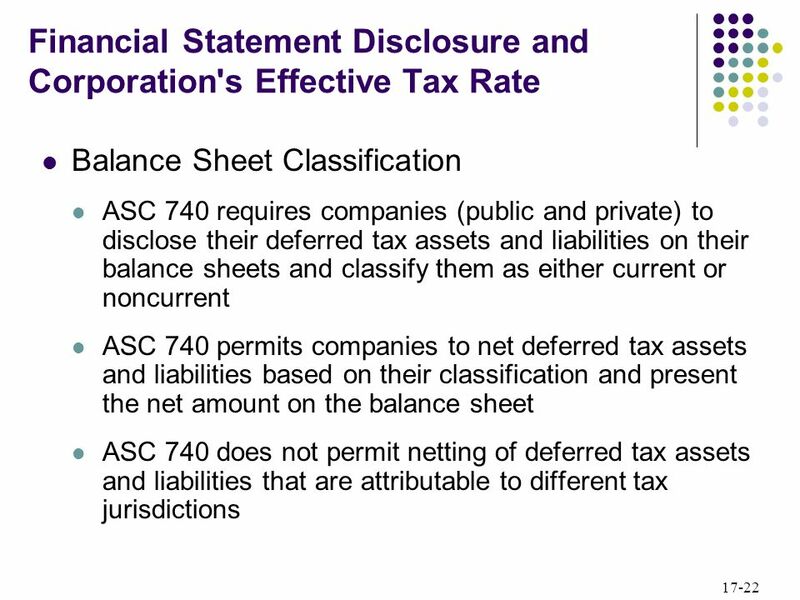 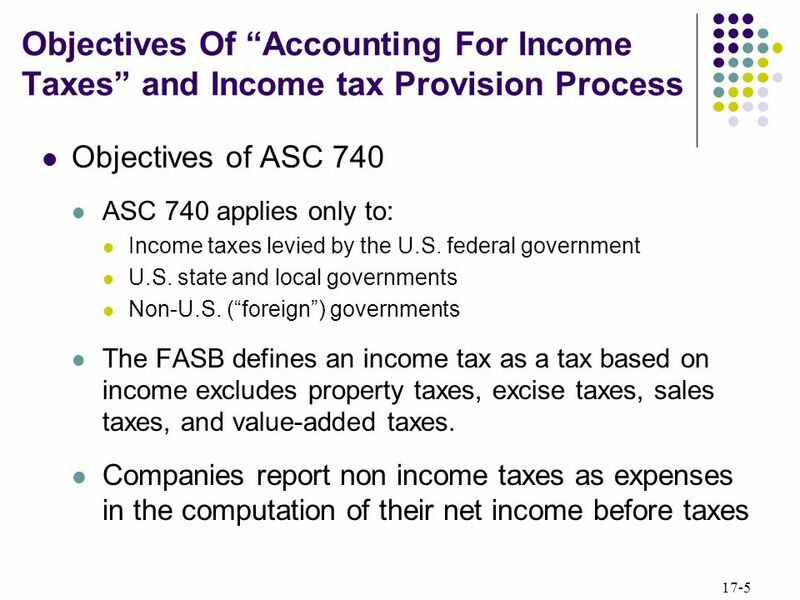 ASC 740 identifies four sources of potential future taxable income, two of which are objective and other two are subjective. 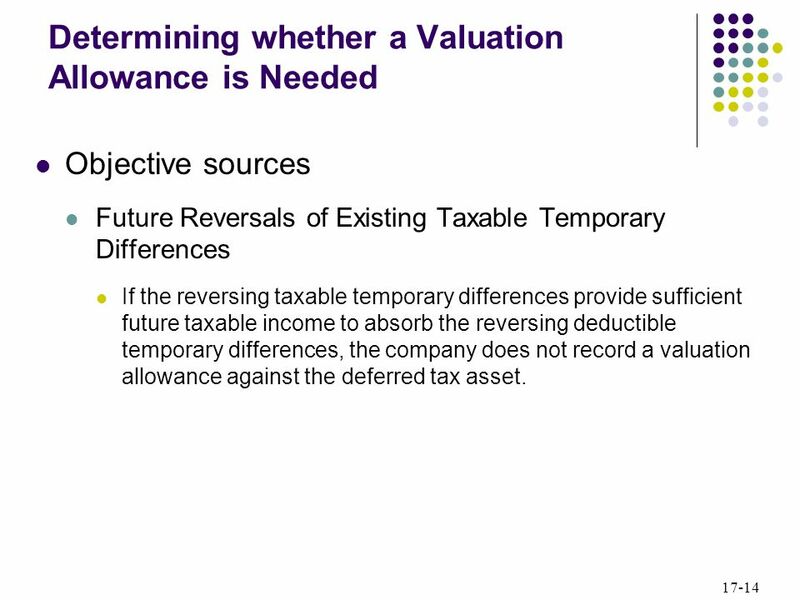 Objective sources Future Reversals of Existing Taxable Temporary Differences If the reversing taxable temporary differences provide sufficient future taxable income to absorb the reversing deductible temporary differences, the company does not record a valuation allowance against the deferred tax asset. 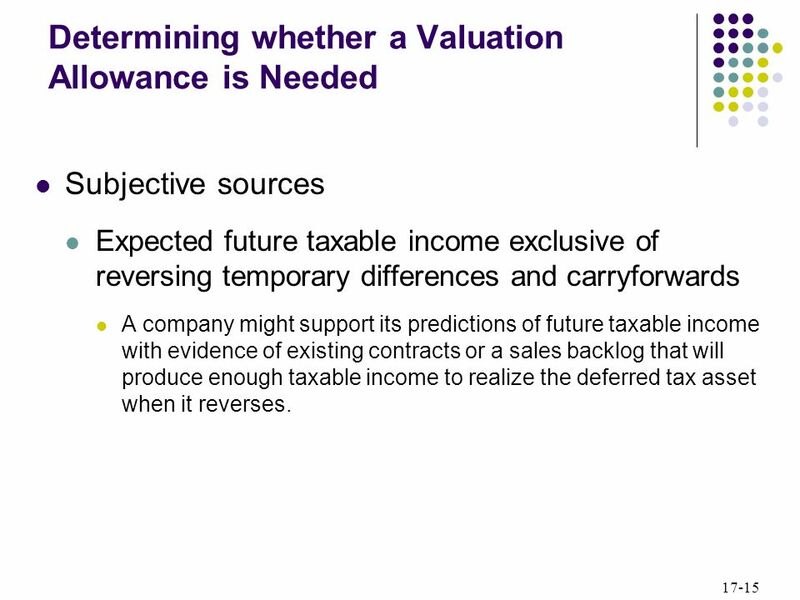 Subjective sources Expected future taxable income exclusive of reversing temporary differences and carryforwards A company might support its predictions of future taxable income with evidence of existing contracts or a sales backlog that will produce enough taxable income to realize the deferred tax asset when it reverses. 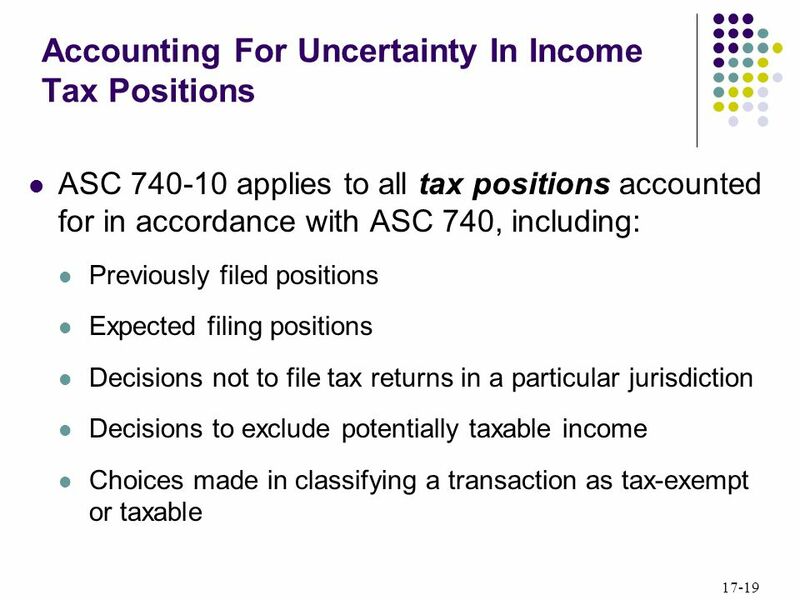 FAS 109 provided no specific guidance on how to deal with uncertain tax positions. 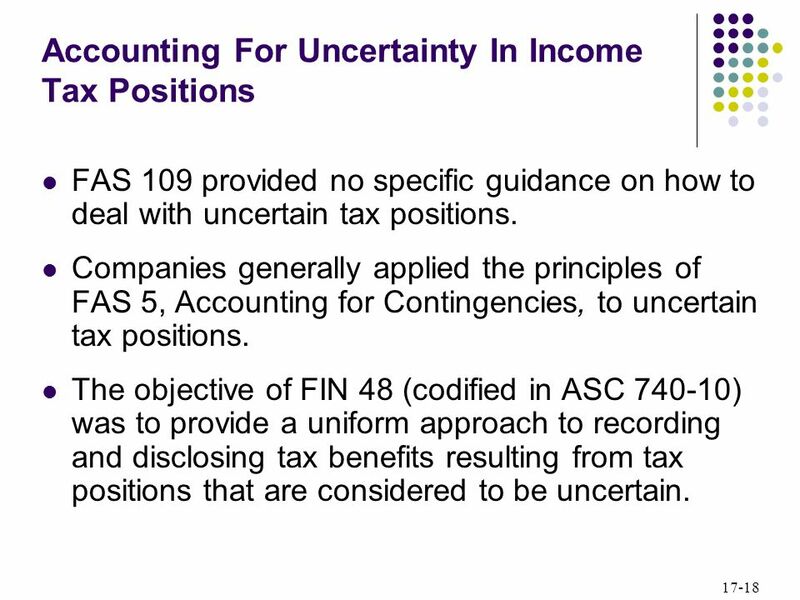 Companies generally applied the principles of FAS 5, Accounting for Contingencies, to uncertain tax positions. 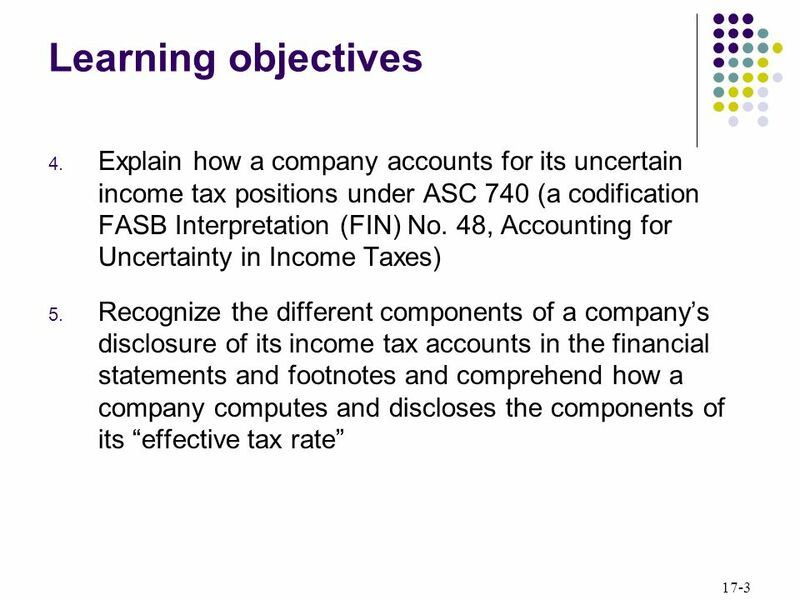 The objective of FIN 48 (codified in ASC ) was to provide a uniform approach to recording and disclosing tax benefits resulting from tax positions that are considered to be uncertain. 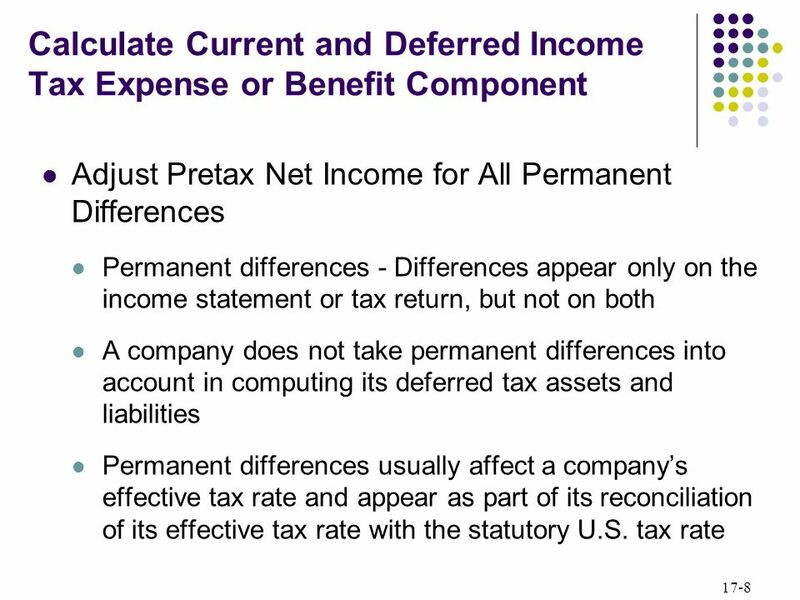 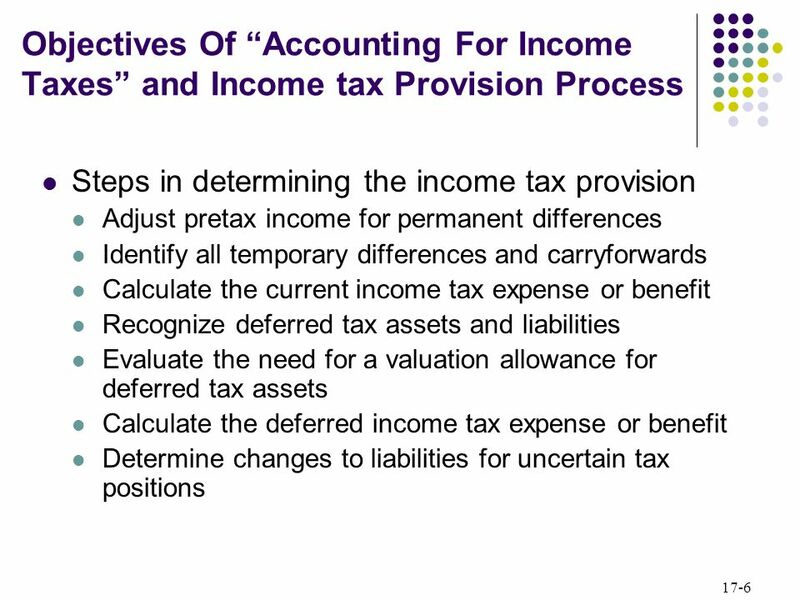 Download ppt "Accounting for Income Taxes"
©The McGraw-Hill Companies, Inc. 2006McGraw-Hill/Irwin Chapter 9 Consolidated Financial Statements: Income Taxes, Cash Flows, and Installment Acquisitions. 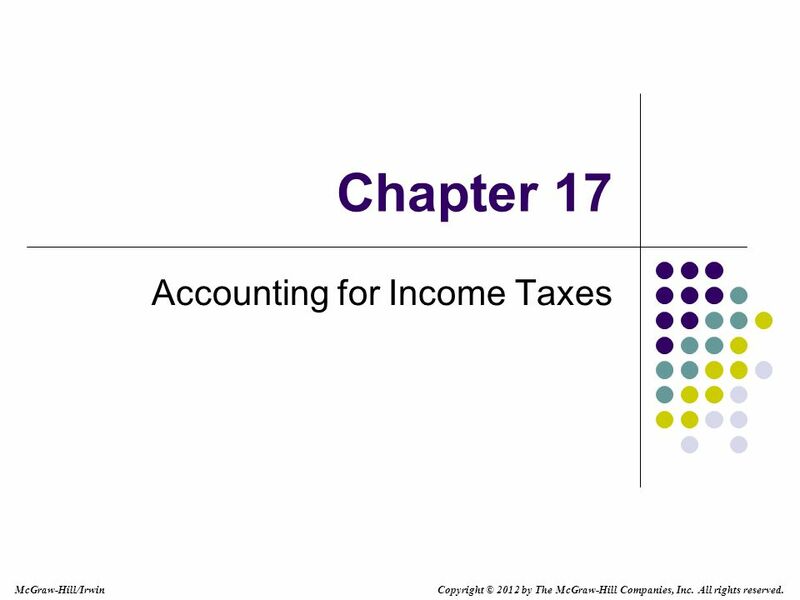 Chapter 17 Completing the Audit Engagement McGraw-Hill/IrwinCopyright © 2012 by The McGraw-Hill Companies, Inc. All rights reserved. 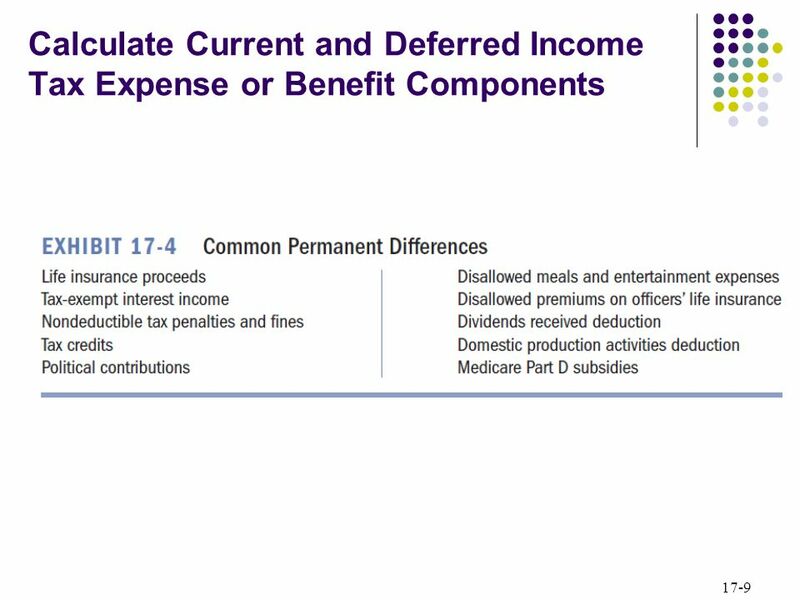 Financial Audit Autonomous Bodies AS 12 Session Accounting Standards 12 Accounting for Government Grants. 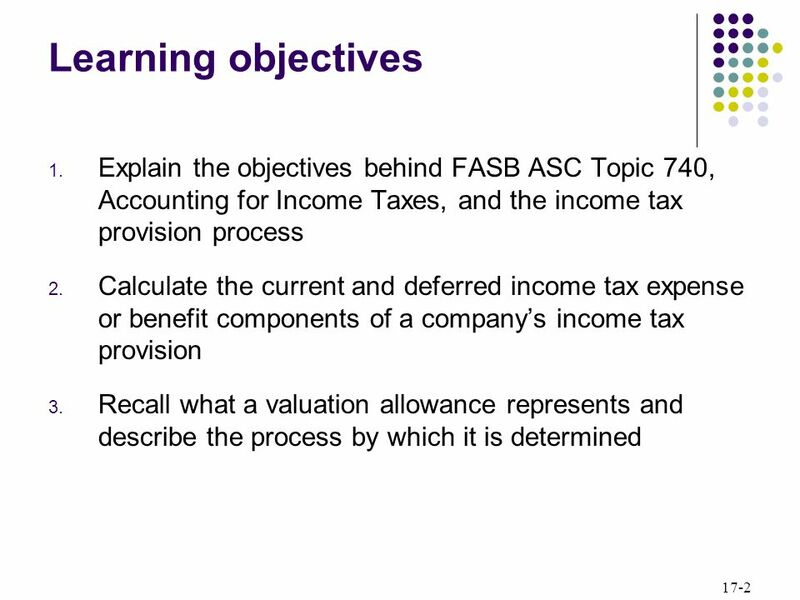 McGraw-Hill /Irwin© 2009 The McGraw-Hill Companies, Inc. ACCOUNTING FOR INCOME TAXES Chapter 16. 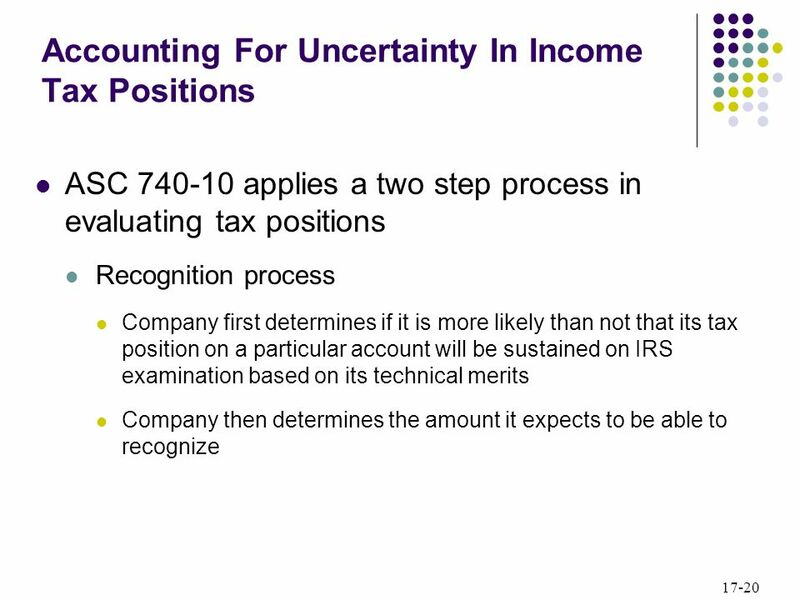 May 12, Accounting Day FAS 109 Update Presented by: Shelly McGuire. 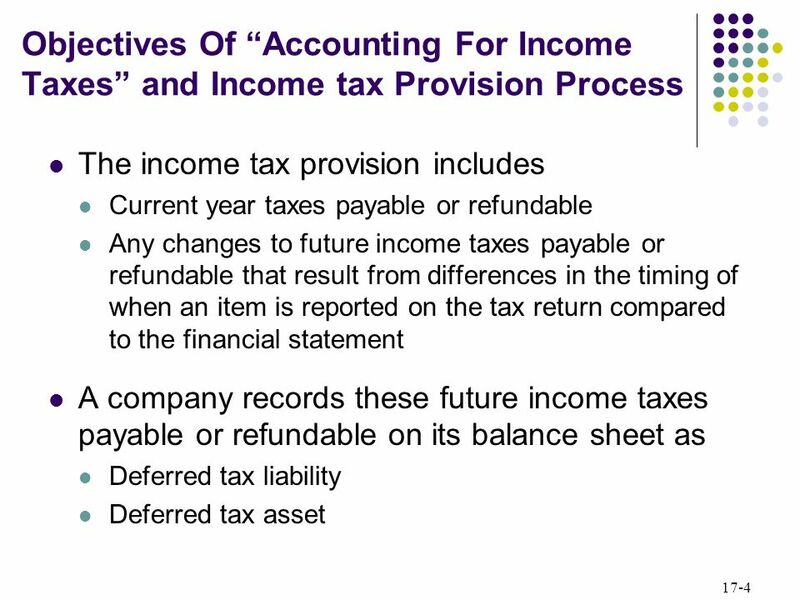 Powerpoint slides by: Copyright © 2003 McGraw-Hill Ryerson Limited, Canada Michael L. Hockenstein  Commerce Department Vanier College Intermediate Accounting. 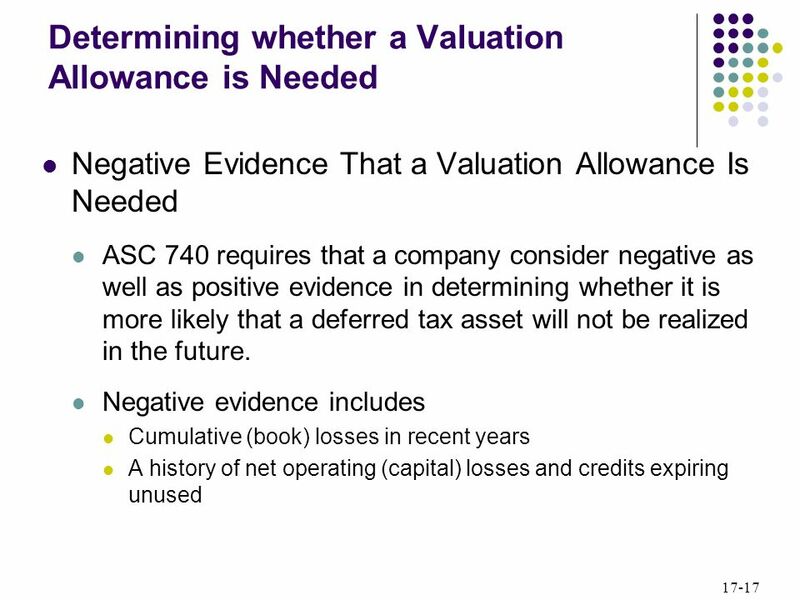 COPYRIGHT © 2007 Thomson South-Western, a part of The Thomson Corporation. 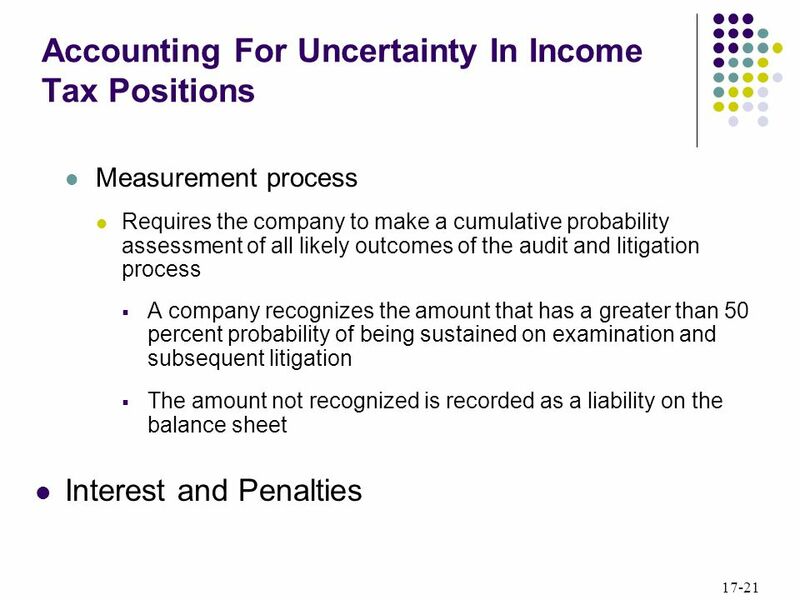 Thomson, the Star logo, and South-Western are trademarks used herein under license. 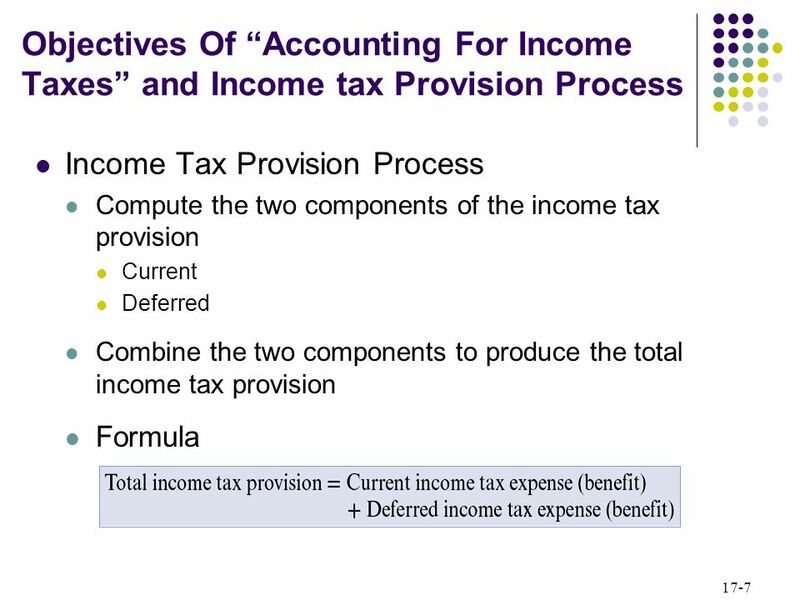 © 2004 The McGraw-Hill Companies, Inc. McGraw-Hill/Irwin Chapter 16 Accounting for Income Taxes. 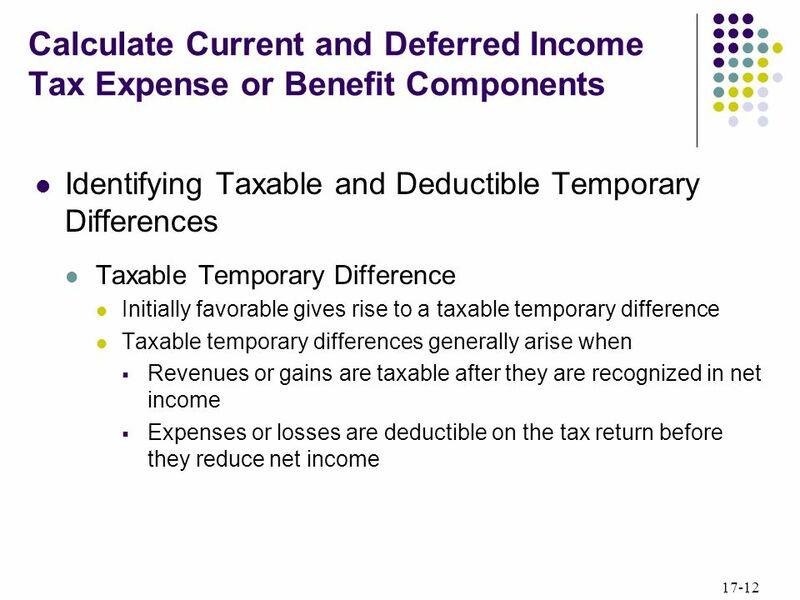 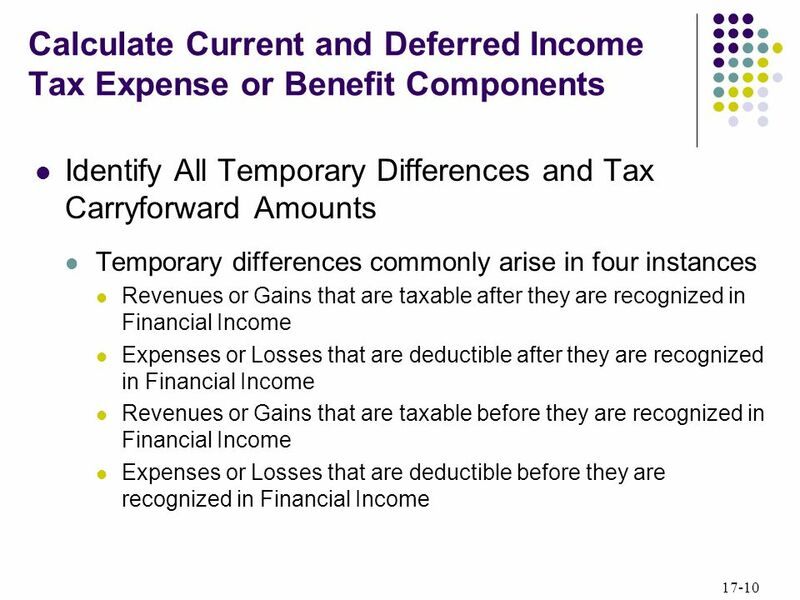 Income Tax Reporting Revsine/Collins/Johnson/Mittelstaedt: Chapter 13 McGraw-Hill/Irwin Copyright © 2012 by The McGraw-Hill Companies, Inc. All rights.